In today’s cut-throat competition, survival has turned extremely difficult for people. Owing to this, the individual has to become a part of rat-race unwillingly and has to score a job to earn bread and butter. Amid all these rigorous activities, a person can’t focus on himself and loses peace of mind as well as confidence. Due to this, a person suffers in his personal and professional life. Further, the individual becomes a locus of problems from which he can’t overcome nor handle them with courage. These problems can arise in consequence of disappointments and emotional imbalance that an individual afflicts from. Later on, these problems empower an individual and mentally enforce him to take serious steps such as suicide or any other dire step. Choosing these steps is not good; they end one’s career as well as make one’s family suffer. Despite the prevailing conditions, a person should look for an initiative either to raise himself or transform inner being in order to face challenges. Developing such qualities can be difficult for an individual. However, attaining these qualities can be possible via Life Style Management Program. The program is first of its kind, wherein spiritual therapist helps individuals to forbear external changes that disrupt their lifestyle. Iskcon Dwarka is the non-profit organization, which is leading the program to motivate people and help them grow. In the program, therapist mainly assists people in balancing three essential qualities that are Emotional Quotient, Spiritual quotient, and Intelligence Quotient. Each of these human aspects is important to control or else, irrevocable mistakes can be done by an individual. The reasons behind controlling these emotions or actions are mentioned below. Emotional quotient is the chief aspect of an individual. Managing emotions is important, not only of oneself but of others also. Usually, there are situations when an individual does a mistake despite knowing its consequences. Thus, it is emphasized upon controlling one’s emotions and gaining an ability to understand others’ emotions effortlessly. By attaining the control over EQ, an individual can easily create social bonds with people and persevere their relationship for a longer time. In relation to EQ, IQ (Intelligence Quotient) is entirely a distinct human aspect. Chiefly, IQ facilitates in assessing one’s intellectual level. Herein, the intellectual level refers to one’s intrinsic reasoning and logical ability. This ability, in turn, helps to know rationality in an individual. Lastly, Spiritual Quotient is the aspect that assesses how an individual works to attain personal goals. Besides this, the therapist teaches a person how to remain satisfied and happy in all conditions. So, Life Style management program builds and improves all these qualities in an individual. Furthermore, it develops positivity into the minds of pupils, who attend the program. 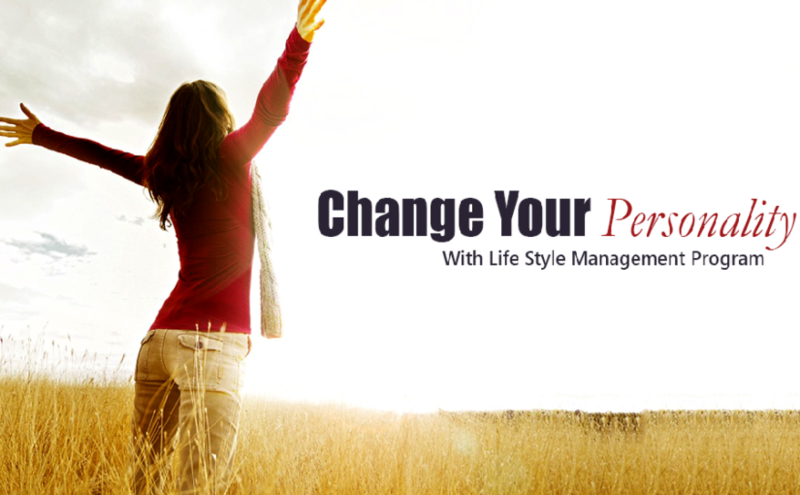 By joining Life style Management Program, an individual will also be capable of managing time appropriately. In today’s hectic life, people usually don’t have time for themselves. They live in a vicious cycle of the materialistic world, wherein time is the biggest friend as well as foe. Coping with the time can bring positive changes in life whereas, in opposite scenario, it can also ruin someone’s life. Owing to this, every individual accepts the importance of time; however, they are unable to perform actions according to their assigned time schedule. To overcome this problem, the therapist in Life Style Management program provides sessions for that as well. So, all-in-all this program is something that a person should attend immediately. To learn more about Life Style Management Program, visit Iskon Dwarka. The organization is a non-profit institution, which propagates teaching of Lord Krishna. Previous Previous post: Why should you attend “Discover Your Permanent Happiness” seminars?